I don't believe in ghosts, the Devil or demonic possession but I find people who do - or rather, people who make a living out of them - endlessly fascinating. Help For The Haunted by John Searles is the story of Sylvester and Rose Mason, who make their living performing exorcisms and delivering lectures on the subject, and their daughters. The elder daughter, Rose Jr, is named after her mother and the younger child, Sylvie, who narrates the story, after her father. That may give you some idea of what sort of people the Masons are: it's clear that they expect their daughters to share their beliefs and values, no matter how inflexible they might be. This hasn't necessarily been a problem for kind, studious Sylvie, but the rift between the rest of the family and Rose, whose behaviour is not only challenging but at times borders on the sociopathic, has been growing painfully by the day. One night, the errant Rose calls home late at night to arrange a desperate meeting with her parents at their former church, setting in motion a series of events which leads to their deaths before the altar. What follows is hard to categorise. There are elements of supernatural horror, of psychological thriller, of murder mystery, of family drama and of a coming-of-age novel as 14-year-old Sylvie tries to make sense not just of her parents' murders but of the strange family life they led in the years preceding them, and of her parents' dangerous and sinister work. What's real and what isn't? Who is leaving mysterious packages of food on the doorstep for Sylvie and her sister? What is the significance of the old ragdoll locked in a rabbit hutch in the basement? Sylvie is a perfect mix of resourcefulness and vulnerability, with that characteristic combination of intelligence and naivety so often seen in exceptionally bright teenagers. Torn by conflicting loyalties and neglected both by social services and by manipulative, unpredictable Rose, who at barely 19 is now her legal guardian, Sylvie is in a horribly difficult situation, and it's hard not to want to reach into the pages of the book and give her a hug. Being generally eager to please and grieving for her parents, the memory of whom she is understandably reluctant to sully with her investigations, Sylvie isn't naturally tough or feisty, which makes her quiet determination all the more admirable. John Searles also does a fine job with the character of Rose. She's callous, disruptive and spiteful, yet far from two-dimensional, and the more we learn about her the more we can understand her. The supporting characters are gratifyingly complex, particularly the Mason parents themselves, who we visit in flashback throughout the book, Sylvester's troubled brother Howie and journalist Sam Heekin, author of a controversial book about the Masons and their work. Murder suspect Albert Lynch and his 'haunted' daughter Abigail are also fascinating, if not a little a disturbing. 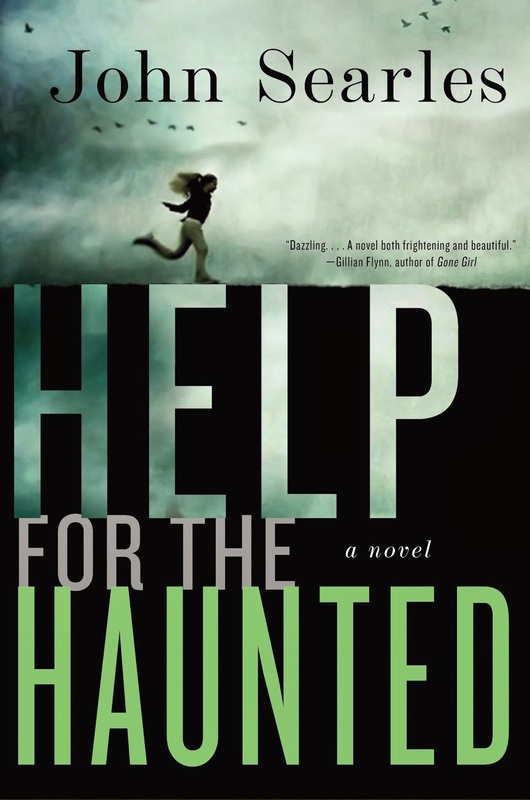 It's the ending that stops Help For The Haunted being a five-star read for me. It's certainly gripping, and in a way, oddly satisfying, but it's also rather rushed and appears to have an irksome plot-hole (I don't know if John Searles has ever experienced an injury that entails being slumped on the floor with a leg bent out at an unnatural angle, but if he has, I'd like to see how the hell he achieved what he makes his afflicted character do next). Despite this, Help For The Haunted is a compelling, sometimes unsettling and often moving read that questions how much any of us really know about the people closest to us.